Right creative team is looking for your right creative idea . Your right partner in love is looking for you too. Right home is looking for the right residents. Resources that are right for your next big venture are waiting to be found. Your most favourite desire is waiting to be aligned with the right feelings and vibrations that will help in manifesting it. You looking for a job, have applied and applied. In some places you got through the interview, in some places you got in through the 1st phase, in others you reached till the one on one discussion. You think and you know that you have done your best, but the job you were eyeing is not yours yet. If you really really want it, there are great chances that you might get it. Once you get it, you may realise what you truly wanted did not come in through this job as a package. So you start looking again. A)Be clear in what you want. B) e.g. You want a job ! What kind ! C) What do you wish to achieve or receive through this job? List them. D) Now either you decide from where you are going to get all that you listed in ‘C’ and follow the actions that makes sense to you or just be open to the RIGHT job that provides you all that you listed in ‘C’, which could open a world full of possibilities. E) Action steps like the right job advt., right acquaintance, right idea to learn a new skill set, will start catching your attention. Follow them and carry out these actions. Because the right job is looking for the exact set of qualifications that are right for it, and which is with you only. This applies in everything, right plumber, right hair stylist, right group, other right service providers, right home, right vehicle, to name a few are all looking for something right in you or something right connected with you. So, keep asking for things that are ‘right’ for you and ‘of your highest good’. 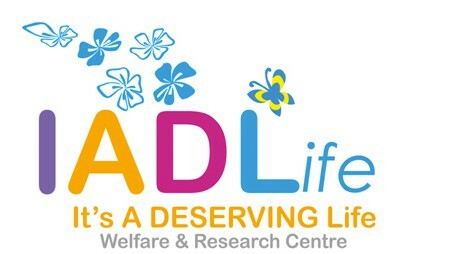 On behalf of IADLife and me, may this or something higher come to you soon. God Bless. This entry was posted in Uncategorized on January 31, 2017 by IAD Life. Big applause for those who can recognise their ‘problem’. As a next step you are able to explain what is the situation in detail. Either you discuss with your friends or with your family. As soon as you gain clarity about the issue, many of you feel the urge to share it with the world. So you turn to social networking sites. Clarity does that to people. Clarity in anything gives an understanding that raises you to a level where it is easy to explain what you actually want to express. Here it’s about your problem/ issue/ situation. This is quite an achievement. But, what would you or anyone gain from agreeing with you that, such a ‘problem’ really exists. You could choose to trust your understanding, instead of looking for approval from the mob. The fact that you recognised and have clarity enough about the ‘problem’, to pen it down or voice it, speaks volumes about your willingness to acknowledge it’s presence. Stay with this clarity for just a few more moments, instead of being in a hurry to showcase your ‘problem’ to your world. If you do that, you will be pleasantly surprised to notice that the solution to the ‘problem’ co-exists and resides with the ‘clarity about the problem’. Please be mindful of not staying with the ‘effects of problem’, because that will pull you down to the low vibration and keep you there. Here there is neither clarity nor solution. When you are able to pull yourself out of this low vibration and stay with the clear understanding of the ‘problem’, you will have solutions clearly visible too. Next step is to apply it. And now, share this with your world. This entry was posted in Uncategorized on January 30, 2017 by IAD Life. Do you watch movies? Who is your favorite actor? Do you have one favorite or few? Do you like or appreciate them according to the character they play. Either ways, what do you remember about them? Similarly, when you think of your friend, acquaintance or even stranger, what do you remember about him/her? What ever you remember is the memory that is dictated by the past impressions of the opinions formed by you about that person. The opinion formed is a part of you that requires most healing. For instance an actor has acted well in movies but has not been seen consistently in movies, for x y z reasons. You will remember the infrequency of the actor’s appearance on the screen, which reflects the inconsistency in work. This is the aspect that you recognise and that is what you wish to change in your life. Later on when you have worked and changed that aspect of your life and you would have included consistency as a characteristics in your life, you will if/when revisit the actor’s work, then you may be able to appreciate/notice other aspects of that actor and/or acting. This is an indicator in your life that, that aspect has been healed. Your friend or acquaintance with whom you have been comfortable but have an impression based on your opinion that the person is rude, desperate or competent, charming. Know this, even if you remember that aspect of him/her/them that you admire, you actually are looking for ways to include that in your life. For example you want to be competent or you want to be charming or to recognised as either or both. In your life experiences someone has been nice to you but one instance of insult, misbehavior or mishap in his/her life, changes your opinion of him/her. Why? A) This is the reflection of characteristics or attribute of you in your life, which has come in your space in the form of someone else’s behavior, which you desire to change or heal. B) This is as a result of the impression that has been brewing due to the piled up sentiments, specifically towards that person, that has not been worked on or healed. The moment you recognise that, you will be able to see how fast your opinion of that person changes. In case it remains unhealed, regardless of the person’s input in your life, you will continue to respond to the person based on the impression of past observations. When not done, you could be missing out on wonderful and fun interactions with this person/people. And you are most definitely missing out on your healing and life enhancements. When done, it gives you a feeling of being ‘free’. To make your moving forward in life fun, deal with it NOW. This entry was posted in Uncategorized on January 29, 2017 by IAD Life. What if you are educated with this fine fact that ‘you are responsible for every situation that happens in your life.’ Would you be willing to take that responsibility? Think in retrospect, did you have resistance going to the office. Was there a meeting that you felt you were not prepared for or was it the Monday morning traffic that you dreading or were you avoiding someone. You may or may not know when or where, but you end up making statements and setting intentions creating these situations. Your attention always goes to others, as if they were responsible for the your life’s situation. But in actuality, it has been YOUR PLAN that gave rise to these situations. You think of any situation(s), then try to recall what could you have wanted in that situation that made you make that statement. So the clever thing would be to know what you really really want and say it accordingly. For instance here you could say, ‘ I want to be comfortable with this day’, and see how the day unfolds, regardless of the events. Everything that use to catch your attention as irritating will be comfortable or irritating things will not happen at all. Important thing to note is how much are you willing to give yourself permission to aspire or to ask . So you could expand and say ‘I am having a wonderful day with miraculous results’, and be open to receiving those miraculous results. You do this for a few times and you will really not need to have resistance towards any experiences. You become open to exploring. This entry was posted in Uncategorized on January 26, 2017 by IAD Life. Freedom is your birth right. But what are you asking for freedom from. Instead of running from something you don’t want, start sprinting towards something you desire. Just be clear on what is it that benefits you. Pay more attention to which direction you are going. Allow your speed to vary. Be constant in your approach. Dedicate your energy into achieving your goals. Always remember from where you started. Be grateful for every experience along the way. Notice where you are nearing. Know this, you are free to have what you can give yourself permission to have. Have a happy free life. This entry was posted in Uncategorized on January 25, 2017 by IAD Life. To achieve anything ‘giving up’ is never an option. As soon as you receive a learning or solution you either put it to practical use or put it in reservoir. You have the knowledge in your reservoir. That is great. You applied it, faced resistance and that’s how it got there, in your reservoir. How much do you want to change your life! Then, how about putting it to practice some more. If you are still finding it difficult to practice then, find ways to understand it, delayer it. If need be simplify it. Now, apply it again. How passionate are you to enhance your life and receive what you desire. Consistently implement what you have learnt. This will most definitely lead you to your manifestations . This entry was posted in Uncategorized on January 24, 2017 by IAD Life. I don’t say I am comfortable with difficult. But I sure do want to make difficult COMFORTABLE. When you are doing the work continuously and honestly, you see the results towards what you desire. You will notice that you are getting comfortable with the steps. Consistently, diligently, passionately, lovingly keep practicing. This will convert anything that is difficult into COMFORTABLE. Having said that please know that healing process(s) is all about understanding and carrying out the steps. What you think is ‘difficult’ is the pain you endure, confusion you get entangled in, the uncertainty of manifestation and the time it takes. In reality, healing process is like language, project or adventure. And just like any new skill and talent, the more you practice the better you get at it. And eventually it becomes seamlessly a part of your everyday routine. And before you realise it, you start to ace it. This builds your confidence and are able to take another healing step easily. Take your healing process as an adventure and explore it. Thank you Best regards . This entry was posted in Uncategorized on January 23, 2017 by IAD Life.